Designers Patricia Urquiola and Yves Behar and architects Frida Escobedo and Kunlé Adeyemi will all be on the judging panel for Dezeen Awards 2019, which is now open for entry. The four are among 25 leading figures from the world of architecture and design that have been named as judges for Dezeen Awards 2019, which launched this week with a party in Stockholm. Back for its second year, the awards programme celebrates the world's best architecture, interiors and design projects. There are also awards for the best established and emerging designers and studios. The interior design jury will include London-based Sevil Peach, interior designer Ab Rogers, French designer Matali Crasset, DoepelStrijkers co-founder Eline Strijkers, and Sundukovy Sisters co-founders Irina and Olga Sundukovy. 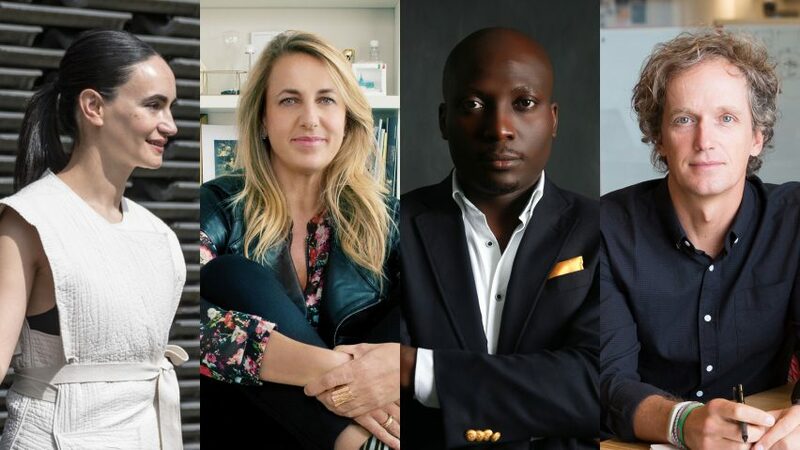 Sitting alongside Behar on this year's design panel are French designer Nelly Ben Hayoun, British designer Yinka Ilori, Dutch designer Marije Vogelzang and South African artist Atang Tshikare. Architects joining Escobedo and Adeyemi on their panel include Klein Dytham Architecture co-founder Mark Dytham, Mass Design Group's Christian Benimana, Melkan Gürsel of Tabanlioglu Architects and Denton Corker Marshall co-founder John Denton. Academics, journalists and curators on the 2019 jury include head curator of DesignMiami Aric Chen, Condé Nast Traveller founding editor-in-chief Sarah Miller, and Tamuna Gvaberidze, founder of Tbilisi art gallery Window Project. Other additions include Mexican architecture studio Barclay & Crousse co-founder Sandra Barclay, Calico Wallpaper co-founders Rachel and Nick Cope and Wanted Design's co-founder Odile Hainut. Some of last year's winners will also be joining the 2019 jury, including designer of the year Atelier NL co-founders Lonny van Ryswyck and Nadine Sterk, who also designed the Dezeen Awards 2018 trophy. John Wardle, founder of John Wardle Architects, will also be on the panel after winning the House Interior of the Year category for Captain Kelly's Cottage. You can log in or create an account to start your Dezeen Awards 2019 entry at www.dezeen.com/awards/signup. To stay updated with all awards news, sign up to the newsletter at www.dezeen.com/awards/subscribe.